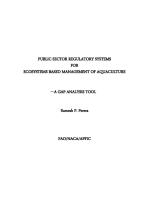 This document presents a tool in the form of an audit table that can be used to broadly screen and identify gaps in the management systems of government agencies responsible for regulating aquaculture. 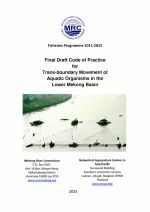 These gaps, once identified, can be a first step toward building regulatory frameworks that can better deliver on jurisdictional ecologically sustainable development and ecosystems approach to aquaculture objectives. The end product of an assessment is a report for consideration by decision makers. 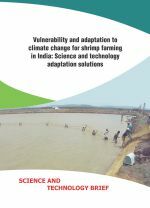 This brief summarises the results from the interdisciplinary and multi stakeholder participatory study conducted within the Aquaclimate Project in Krishna District, Andhra Pradesh, India looking at the impacts of climate change on shrimp farming. 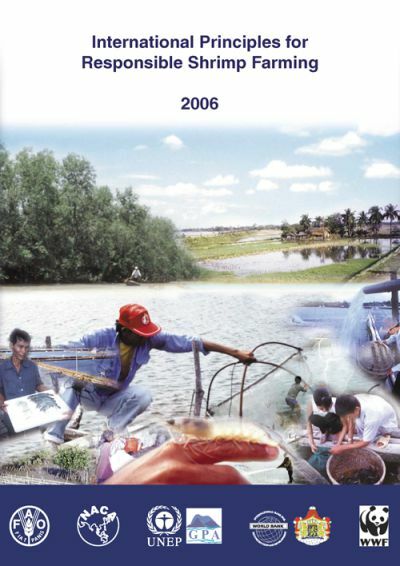 The brief further provides guidelines for development of policy measures to address the climate change impacts on small scale shrimp farming. 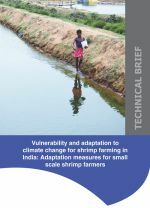 This technical brief summarises the results from the interdisciplinary and multi stakeholder participatory study conducted within the Aquaclimate project in Krishna District, Andhra Pradesh, India, looking at the impacts of climate change and adaptation measures in the shrimp farming sector. 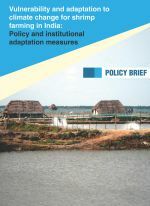 The brief further provides guidelines for adaptation measure that can be undertaken by the farmers together with the institutional, policy and science and technology support for improving their adaptive capacity to cope with future climate change. This brief summarises the results from the interdisciplinary study conducted within the Aquaclimate project in Iloilo province in the Philippines looking at the impacts of climate change on small scale milkfish farming. 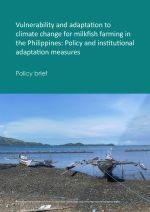 The brief provides guidelines for adaptation and policy development to address the climate change impacts on small scale milkfish farming in the Philippines and how adaptation measures should be implemented in the region. This brief summarises the results from the interdisciplinary and multi stakeholder participatory study conducted within the Aquaclimate project in Krishna District, Andhra Pradesh, India, looking at the impacts of climate change and adaptation measures in the shrimp farming sector. The brief based on scientific analysis and stakeholders inputs, further provides science and technology solutions to be undertaken for improving farmers' adaptive capacity to climate change. 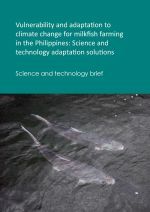 This technical brief summarises the results from an interdisciplinary study in two municipalities in Panay Island, Philippines, looking at vulnerability to climate change, impacts and adaptation measures for milkfish farmers. 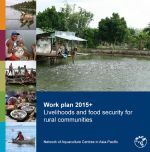 The brief provides guidelines for adaptation measure that can be undertaken by the farmers together with institutional, policy, science and technology support required to improve their adaptive capacity to cope with future climate change. This brief summarises the results from the interdisciplinary study conducted within the AQUACLIMATE project in Iloilo province in the Philippines, looking at the impacts of climate change on small scale milkfish farming. 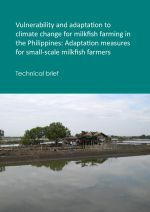 The brief provides guidelines for academics, researchers and technologists to support farmers for adaptation measures to address the climate change impacts on small scale milkfish farming. This brief summarises the results from the interdisciplinary study conducted within the Aquaclimate project in Sri Lanka looking at the impacts of climate change on culture based fisheries. 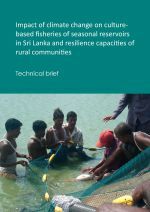 The brief further provides guidelines for farmers seeking to address the climate change impacts on culture-based fisheries in Sri Lanka. 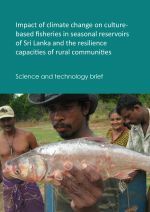 This brief summarises the results from the interdisciplinary study conducted within the Aquaclimate project in Sri Lanka looking at the impacts of climate change on culture based fisheries. The brief further provides guidelines for academia, researchers and technologists to support farmers for adaptation measures to address the climate change impacts on CBF in Sri Lanka.